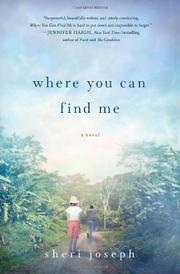 A family moves to Costa Rica to heal from a kidnapping. At age 11, Caleb Vincent was abducted and imprisoned in a basement, then starved and trafficked by a ring of pedophiles. Discovered by the FBI living with a man nicknamed Jolly, Caleb, 14, is brought home from Washington state to his parents in Atlanta. Marlene, his mother, never lost hope for Caleb’s return, but his father, Jeff, had at one point given him up for dead. To escape her shaky marriage and the intrusive media that hounds the family day and night, Marlene moves herself, Caleb and 11-year old daughter, Lark, to Costa Rica to live in the cloud forest at a ramshackle hotel owned by Jeff’s mother, Hilda. As the narration dips in and out of Caleb’s head, the reader only gradually learns what happened to him during his disappearance. Jolly, it emerges, is a doctor who rescued Caleb from the pedophiles and took a paternal as well as sexual interest in him. The paternal won out when Jolly encouraged Caleb to attend school, thus facilitating another rescue, this time by authorities. So ambivalent is Caleb about his feelings for Jolly that he refuses to cooperate with the FBI’s prosecution of him (the original kidnappers are still at large) and cannot resist making contact with Jolly from Costa Rica. Meanwhile, other sexually charged scenarios play out: Marlene rekindles an old romance with her husband’s brother, Lowell, and Caleb dates a local girl, Isabel, while not so secretly yearning for her transvestite cousin, Luis. Joseph approaches this explosive material with circumspection, perhaps excessively: So much time is devoted to atmospheric but aimless descriptions of Costa Rican scenery, flora and fauna that at times the travelogue overwhelms the plot, which unfolds at a leisurely, tropical pace. However, Joseph’s preoccupations are less with plot than with honestly confronting the internal conflicts that can arise in reaction to unspeakable crimes. A fraught subject, handled with gravitas and, improbably, grace.